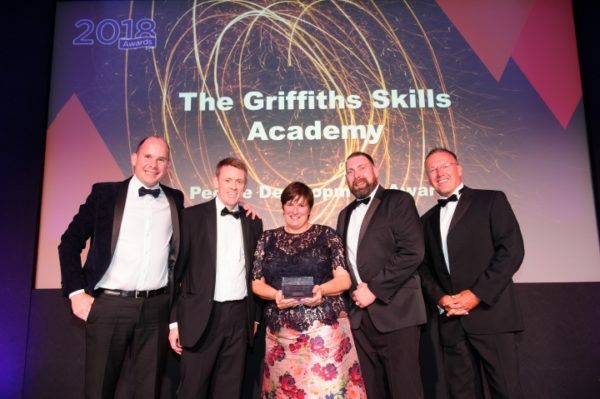 Wales once again confirmed its status as a construction centre of excellence winning five of the main awards available at the National Constructing Excellence Awards on Friday, 16th November held at the Marriott Hotel, Grosvenor Square, London. Welsh construction proved itself as a vital element in its countries economy and demonstrating that applying best practice principles of collaboration and team working great projects can be delivered on time, in budget and add value to the communities in which they serve. Wales won the Project of the Year Civils award, Sustainability, People Development, the SME award and Digital Construction. One of the stars of Welsh construction the 76-turbine Pen y Cymoedd Wind Energy Project was named Project of the Year Civils. A joint venture with Jones Brothers Civil Engineering and Balfour Beatty and is the largest onshore project in England and Wales that aims to generate enough electricity to power 188,000 homes. Civil engineering also led the way with the People Development award. 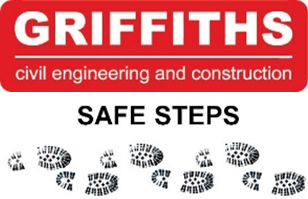 Alun Griffiths (Contractors) Ltd won with its Griffiths Skills Academy which was set up to attract 16-24-year olds into the profession. Wynne Construction were connected to two awards. They won SME of the year and played a part winning the Sustainability award for work at Ysgol Rhyd y Llan. This 21st Century School project to replace three schools for the Isle of Anglesey County Council by Wynne and Modcell in an area of outstanding national beauty and further complicated by the discoveries of rare newts and remains of Neolithic houses dating from 6,000 years ago. The fifth award that was secured by Welsh organisations was also in the north, M-Sparc, Wales’s first dedicated Science Park with office, workshop, and laboratory space for up to 700 people. The scheme, led by Willmott Dixon, Futurium and Faulkner Brown, embedded digital construction techniques and ideas right at its heart enabling it to become an important regional centre and attracting start-ups and drawing inward investment from large corporate companies. All five Welsh winners shone out on an evening when UK construction made a strong case that lowest price tendering and adversarial ways of working are not the way to build for our future generations.